Einstein once said, “In theory, theory and practice are the same; in practice they are not.” Genius. 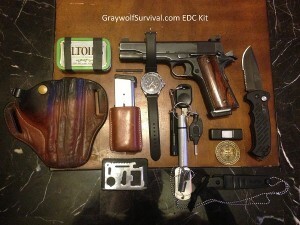 Today we’re going to talk about emergency planning and prepper rehearsals, and why they are so important to your plans. First, a little info on why you need to do real dress-rehearsals, and then the 5 steps will be easy to understand. There was a time where I ran an aerospace computer factory for a large corporation. I had many years prior to that as an RF, digital, and analog troubleshooting technician. In this job, I did a lot of coordination between the engineering department and the production department. In a lot of cases, engineer would come up with some extremely creative designs that worked perfectly in the computer but once they were built, they wouldn’t. Even more often, they would design something that might work but building and testing it was so complicated that the costs went up dramatically. By sitting down myself on a dry run and actually building the thing, I could give them some feedback on what adjustments they should consider that would help transform the idea into the thing. Not only was I bench-testing the product, I was bench-testing the process. These dress rehearsals saved millions of dollars and a lot of work. Where did I learn about this? From the Army. I rejoined the Army many years ago, after that aerospace job went to Malaysia but I actually learned about combat rehearsals from when I was in the first time – 30 years ago. It’s been beat into my head ever since and made a huge difference in my success in Africa, Iraq, and Afghanistan. I just thought I’d give you some idea on how you could incorporate this type of military planning into your prepping or emergency preparedness by telling you how I’ve adopted the doctrine into my prepper planning but if you really want to get serious, you need something like The Marine Corps Way: Using Maneuver Warfare to Lead a Winning Organization to explain it fully with all the details, and come up with your own system. 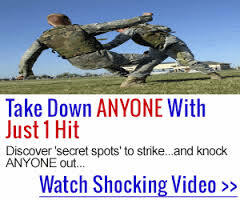 Combat rehearsals are practice exercises where you first learn how to do some maneuver or combat skill and then you actually practice it. 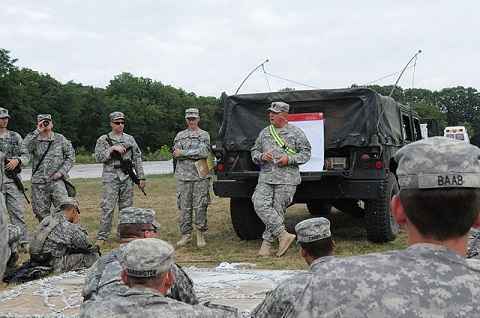 They not only help a Soldier learn how to do something, they help the commander and his staff figure out the details of the plan. So why should you rehearse your emergency plans? Obviously, practicing something over and over can help you get better at it. That’s why people who learn karate do the same kick, over and over and over with an expert giving them feedback along the way. The same thing goes with learning how to shoot. You may theoretically know how to obtain the correct sight picture, use the right stance and hold, and squeeze the trigger vs pulling it but can you actually put effective rounds downrange? Remember when you first learned how to drive? You focused so much attention on where you were on the road, what gear you were in (I was taught by my dad on a country road in the hills of Pennsylvania in an F250 with a manual drive while he drank a sixpack of beer), and how fast you were going. Just look at you go now. You don’t even think about it now. Just like walking. You don’t think about it anymore – you just go. Your brain will create a subroutine that it will follow if you do something over and over and over. We call this muscle memory. When someone reaches out to punch me, I don’t have to sit there and think, “why is this idiot pu…OUCH!” I automatically step to the side, block and punch or grab – all simultaneously without having to think about it. 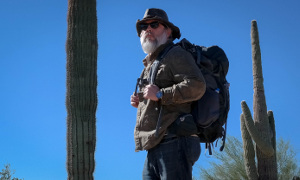 By practicing things like grabbing your bug out bag in the middle of the night, heading outside in the middle of the night with no lights on in case there’s a fire, or driving a bug out route over and over, you get to the point where you don’t have to think about it anymore. It all just comes naturally. When you sit down to make any kind of plan, such as your emergency communication plan, you need to first make a trial run of it. 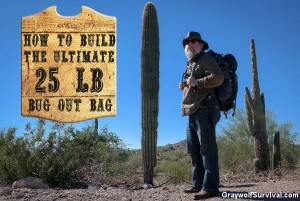 Same thing goes with planning a bug out route or even just what to put in your bug out bag. Plans make certain assumptions and sometimes those assumptions are wrong. Did you know that the road you were planning on taking to your bug out location is washed out in the Spring? 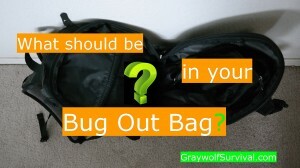 Did you realize that you can’t get to the water in your bug out bag without pulling everything out first? The beauty of making test runs is that you can see which options in your plan will work best. This then makes your plan not only better, it validates which backup plans work and which don’t. After you’ve done a run-through of your plan, you can now adjust it and then run through it again. The more times you rehearse and adjust fire (what we call changing the plan), the more honed and effective your plans will be, and the better you’ll be at each part. The best way to do this is what we call an AAR in the Army (an After Action Review). Sit down and ask your team what went right, what went wrong, and what needs to stay or change in the plan. Here’s a pretty decent pdf on After Action Reviews from Fort Jackson. This is a big one. You may think that you’re all set in case the power goes out for an extended period. You have your solar panels, charge controller, batteries and inverter all ready. Try shutting off the main breaker box in your home for the weekend. You’ll quickly figure out things you missed such as the correct adapters for your cell phone and ham radio, what you’re gonna do to keep your kids busy without an Xbox, and if your batteries and panels are big enough to last considering the power you need at night. A lot of plans in the military are designed just to get the ball rolling. The same thing goes with your prepper plans, most likely. This allows for your plan to be flexible and planned early enough to disseminate it down to the lower echelons but it means that the commander on the ground will have to figure out what we call the “Last 10 yards” of the plan. If your plan isn’t about going into combat against an enemy that you don’t know how they’ll react, you can most likely figure out the last 10 yards of your plan on your own. 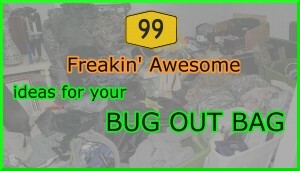 You won’t have to wait until you have to do it in real life when an emergency comes to figure out that your family can’t carry their bug out bags far enough to get to your campground from where you have to park the car and go on foot if you run out of gas or your car dies. By having practice runs with your family in the middle of the night simulating a fire, you can see if your family understands just what you want them to do. Your idea of the plan of how you think it should be executed is called your Commander’s Intent. You’ll quickly find that what you tell someone your plan is, and what they hear you say what your plan is, are not always the same thing. Rehearsals will work this out. When you practice something over and over, you start to understand how each person reacts and what their part of the plan is. This helps when you do things in a real emergency if something unexpected happens because you should have a decent idea about what the others are doing at that moment so you can either reach them somehow or go to their location to make changes to the plan (what we call Fragos or Fragmentary Orders). By running through your plan several times, you’ll start to feel better that your family is better prepared to handle an emergency. You won’t worry as much then about things that you’ve planned for. Also, the more things they practice, the more things they learn and can adapt to other emergencies. On the same token, your family starts to feel safer and feels better about you being the one protecting them. You’ll find that your kids won’t be as scared if something happens because you have the answers, and they know what to do. If you’re rehearsing something complicated, such as meeting up at a rally point if all communication fails when everyone is scattered around town, you’ll start figuring out the most efficient ways to get them all there. You’ll get faster and faster because you won’t have to think as much. You may find out through a trial run that it’s easier for certain members to meet up at a different rally point before they meet everyone else at the primary one. You may also figure out that in certain circumstances that it would be better for you to pick up the kids at school but in other circumstances, your spouse would be in a better position to do that. Without test runs, one of you may change the plan because it makes sense at the time but the other won’t realize it happened. By rehearsing things under different scenarios, you can make adjustments to your plan without having to communicate it to everyone else because they’ll already know you’re gonna be changing things. Try to throw in a monkey wrench into each time you practice so people learn what they can do if things go wrong (which is always the case) as well as learn how to anticipate what other people will do. This is where you learn your team. Sit down and make your plan(s), war-gaming ideas about what can go wrong and what you’ll need. Brainstorm ideas about what situations you want to plan for. Read Idea Stormers: How to Lead and Inspire Creative Breakthroughs if you want some ideas how to get your family or team to brainstorm effectively. Don’t be afraid to assign someone to be the devil’s advocate. If they’re assigned to do it, they won’t feel as bad about critiquing your plans. Have people make a list of all the things that could go wrong and adjust the plan accordingly. This is as far as most people get. Do a dry run to see if you’re in the ballpark with your supplies and logistics. Try to be as realistic as possible. Go to the actual places your plan requires. Bring the actual equipment that you’ll need. Have everyone carry a notepad and take notes as they go. Have a hotwash (post-mission meeting) after every phase to quickly capture notes of what happened just then. Do an AAR when you’re finished with the mission and record what went well, what needs to change, and what you’re missing or have too much of. If what you’re doing is complicated, do an AAR for each phase. Sit back down just like you did in step 1, along with your hotwash and personal notes. Figure out the last 10 yards of what you couldn’t actually do during rehearsal to see how you would do things now that you’ve run through it. You should now have a pretty decent plan. Start rehearsing your plans now under different scenarios with “What if?” in mind each time. Each practice should have a different scenario, if possible. Maybe different people involved. Maybe a different emergency. Make sure something goes wrong. If nothing goes wrong, then make something go wrong. Maybe someone’s leg is broken. Maybe someone doesn’t show up. Maybe pull someone to the side and tell them to purposely make a mistake and see how the group adjusts. At this point, your plan should work pretty well. Don’t forget to have a hotwash after every phase, just like before. Do an AAR on the planning process itself. Focus on things like: how effective your brainstorming proess is, how you are recording notes, how you are communicating each problem, and how your devil’s advocate process is going. This part should not include problems or solutions for your missions or emergency plans – it’s about the planning process itself. Go back to step 3 and readjust your plans and your planning process with the new information you have. This is the “rinse and repeat” step. As people rehearse, and has they learn new things outside of rehearsal, they’ll get better and also have new skills or ideas that can be incorporated, so you should be continually rehearsing things on a regular basis, whether it’s monthly, weekly, or if something is important and complicated, you may want to do it several times a week until you get it down. Special Forces units practice a single mission over and over and over until it’s all automatic. Do you have regular practice runs with your family or team? What kind of things have you done to rehearse with your family? Do you have fire drills? What about trying to communicate when if the cell towers all went down like we had to when I was in high school? 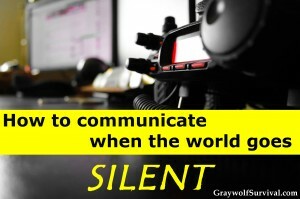 (I have a pretty extensive article on that by the way about developing an emergency family communications plan). Great article. Unfortunately, too many people fail to test their plan and do not find their weaknesses until it is too late.